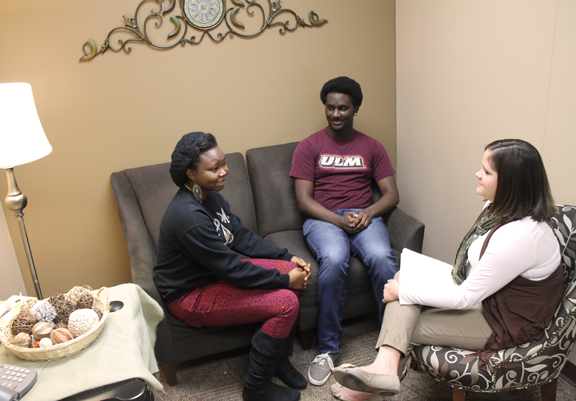 The ULM Marriage & Family Therapy (MFT) and Counseling Clinic is staffed by interns of the Marriage & Family Therapy and Counseling programs, under direct supervision by clinical faculty. The clinic’s goal is to provide clients the opportunity to learn, change, and develop through personal growth experiences. While clients work toward personal growth, the clinic strives to provide a therapeutic environment that will facilitate their exploration of new options. Individual, group, and family services are provided to persons of all ages and cultures. 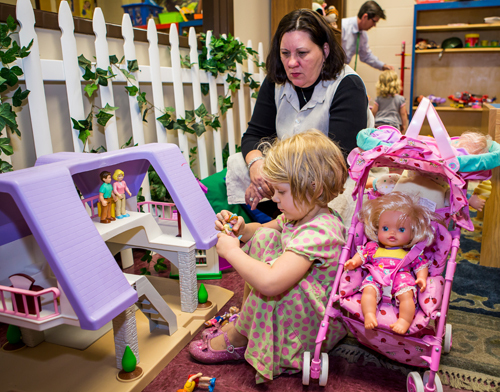 The clinic provides services for those with personal, career, school, relational, addictions, grief and loss, parent/child difficulties, infidelity, issues related to divorce, sexual problems, difficulties with anger, hostility, or violence, individuals who have been diagnosed with a mental disorder (such as mood, anxiety, personality, behavioral, and sleep disorders), and other concerns. The supervising faculty members hold professional mental health licenses in Louisiana, and/or clinical credentials as required by the respective MFT and Counseling accrediting bodies. The idea that only those with a mental illness can benefit from therapy is a myth. Changes, stress, and problems are inevitable in each person's life. Marriage & Family Therapists and Counselors work to strengthen relationships and prevent problems from getting out of control. Not all family members must participate for successful outcomes. A wide variety of problems influence and are influenced by a person's ability to relate to others in his or her world. Individuals, couples, or families who want to improve their relationships, whether those relationships be with friends, lovers, spouses, parents, children, siblings, or work associates, may benefit from the expertise available in our clinic. Other services, designed specifically for agencies or businesses, such as individualized consulting or workshops are available upon request. All information concerning clients will remain confidential within the guidelines of Louisiana law and the ethical standards set by the American Association for Marriage and Family Therapy and/or the American Counseling Association. The sessions are recorded; however, recordings are used exclusively in individual and group supervision for purposes of intern training. After supervision has ended, all recordings will be permanently erased unless specific waivers and consents are signed by all parties. Therapists/Supervisors: Therapists and Counselors are senior graduate interns in Marriage & Family Therapy and Counseling and are supervised by qualified supervisors. Referrals: The Marriage & Family Therapy and Counseling Clinic works in cooperation with area social service agencies, courts, physicians, attorneys, ministers, and schools. We welcome referrals from these sources when we can be of assistance to their clientele. Prompt referrals to these professionals are provided to clients who require services not offered at the clinic. Eligibility and Fees: Services of the Marriage & Family Therapy and Counseling Clinic are available to the public at a maximum fee of $25.00. Military veterans as well as ULM faculty, staff, and students may use the clinic at no cost. Therapy Process and Session Length: usually one session per week is scheduled for approximately 50 minutes each visit. The length of the session varies between interns, clients, and the nature and severity of the problem; however, most sessions are brief in nature.